Cystic acne on the back causes hard, deeply embedded nodules. They are often painful and may last for weeks or even months. Cystic acne frequently leaves behind scars and can be extremely difficult to treat. Teenagers, especially boys, are more likely to suffer from this condition, which may clear up at the end of puberty. With proper medical treatment, back acne can improve and scars may not occur or may be less prominent. Consult with a dermatologist. She may be able to determine the cause of the acne and recommend lifestyle changes as well as a care regimen. There are several prescription-strength medications available for acne, including isotretinoin and cortisone injections. 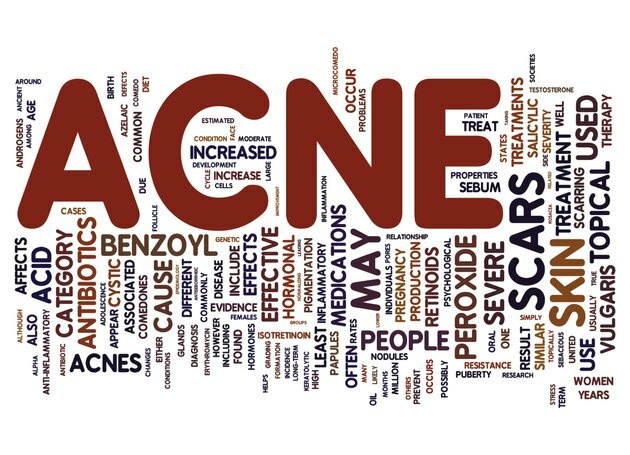 Antibiotics may help with some acne, particularly if the cysts are causing painful infections. Place a warm compress on the cyst for 15 minutes several times each day. This helps to open up the pore and draw out the infection. While it won't make the acne go away, it will shorten its lifespan. Use a skin wash designed for body acne, unless your dermatologist has advised you otherwise. After washing your back, dab a 5 percent to 10 percent benzoyl peroxide spot treatment on each cyst. This helps to heal acne and also lessens the likelihood of scars. If your skin does not become too dry after one week of this treatment, add a salicylic acid astringent to your treatment regimen. Wipe the astringent over the entire affected area with a cotton ball and then dab on the benzoyl peroxide. Try a natural home remedy. Some people find that these treatments work well, though they have not been scientifically proven. Warm whole-milk compresses may help draw out cysts. Toothpaste has a drying effect and can help dry up acne. Honey may help boost the immune system, so try taking a spoonful of honey daily and dabbing honey on each cyst 10 minutes prior to showering. Take a multivitamin every day. This can help your body fight the acne. Never try to pop cystic acne. This can drive the infection and inflammation further into the skin and lead to scarring. Avoid overusing skincare products. Washing too frequently and irritating products can both dry out the skin, causing more irritation and potentially more acne.